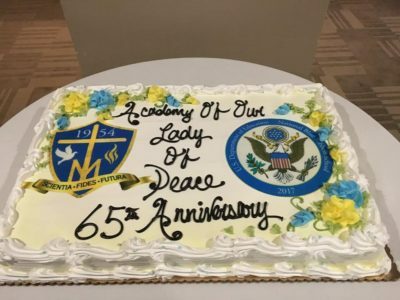 The 65th Anniversary Gala and Blue Ribbon Celebration Friday evening was a wonderful event at The Westin Governor Morris Hotel in Morristown. A special thanks to Mrs. Reece and Mrs. Slattery for organizing the evening’s festivities – you ladies are always amazing! God Bless The Academy of Our Lady of Peace and the many children that walk through our doors for many, many more years to come.